Pakistan has released a confessional video in which an arrested Indian spy is heard admitting to New Delhi's involvement in terrorist activities in the Pakistan's province of Balochistan and the megacity of Karachi. Serving Indian Navy commander Kulbushan Yadav says in the video that he had been directing various Indian intelligence operations in Karachi and Balochistan "at the behest of RAW", the Indian intelligence agency, and that he was still with the Indian Navy. It should be noted that India is on record as strongly opposing China-Pakistan Economic Corridor Project. Yadav added that he had played a key role in inciting chaos and terror in Karachi. In interrogations done by the London Police, some top MQM leaders have confirmed receiving support from India's RAW for their criminal activities in Karachi. Pakistani law enforcement agencies arrested Yadav in an intelligence-based raid in Balochistan's Chaman near the border with Afghanistan last week. Before writing and promoting an anti-Pakistan book in India, American analyst and author Christine Fair said this in 2009: "Having visited the Indian mission in Zahedan, Iran, I can assure you they are not issuing visas as the main activity! Moreover, India has run operations from its mission in Mazar (through which it supported the Northern Alliance) and is likely doing so from the other consulates it has reopened in Jalalabad and Qandahar along the border. 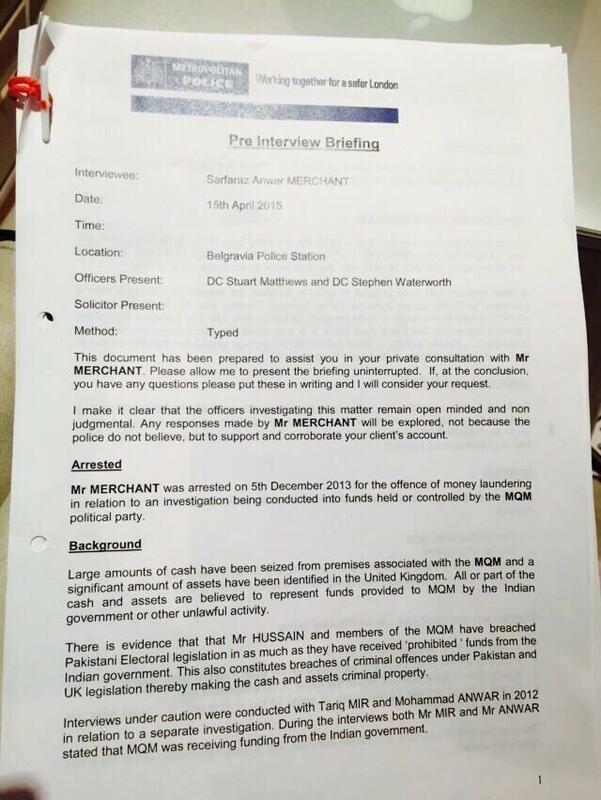 Indian officials have told me privately that they are pumping money into Baluchistan". The video was released at a press conference attended by Pakistan Army spokesman Lt Gen Asim Bajwa of ISPR (Inter-Services Press Relations) and Federal Information Minister Pervez Rashid. Calling Yadav's arrest a "big achievement", Bajwa said Yadav was directly in contact with top RAW officials. "His goal was to disrupt development of the China-Pakistan Economic Corridor (CPEC), with Gwadar port as a special target," Bajwa said. "This is nothing short of state-sponsored terrorism... There can be no clearer evidence of Indian interference in Pakistan." "By 2002, I commenced intelligence operations. In 2003, I established a small business in Chabahar in Iran. "As I was able to achieve undetected existence and visits to Karachi in 2003 and 2004. Having done some basic assignments within India for RAW, I was picked up by RAW in 2013 end," Yadav said. Yadav said his purpose was to remain in direct contact with Baloch insurgents and carry out "activities with their collaboration". He held a valid Indian passport and Iranian visa. India has denied Yadav was an intelligence operative and said he was formerly from the navy. New Delhi has also demanded consular access to Yadav, which has been denied. Yadav was moved to Islamabad for interrogation, during which an unnamed official said the spy revealed he had bought boats at the Iranian port in Chabahar to attack Karachi and Gwadar ports, Dawn reported. India's intelligence agency RAW has a long history of sponsoring covert wars in Pakistan. Ex Indian spy R.K. Yadav has documented some of RAW's past successes in Pakistan stretching back to 1960s. Ex US Secretary of Defense Chuck Hagel has confirmed based on US intelligence reports that "India has always used Afghanistan as a second front against Pakistan. India has over the years been financing problems in Pakistan". In the minds of Pakistanis, whole world is after them. My goodness what delusion. "My name is Commander Kulbhushan Yadav and I am the serving officer of Indian Navy. I am from the cadre of engineering department of Indian Navy and my cover name was Hussein Mubarik Patel, which I had taken for doing some intelligence gathering for the Indian agencies. "I joined the National Defence Academy in 1987 and subsequently joined Indian Navy on January 1991 and subsequently served for the Indian Navy till around December 2001 when the Parliament attack occurred and that is when I started contributing my services towards the gathering of information and intelligence within India. "I live in the city of Mumbai in India. I am still the serving officer in the Indian Navy and will be due for retirement by 2022 as a commissioned officer in Indian Navy after having completed 14 years of service by 2002. "I commenced intelligence operation in 2003 and established small business in Chabahar in Iran as I was able to achieve undetected existence and visits to Karachi in 2003 and 2004 and having done some basic assignments within India for RAW. "I was picked up by RAW in 2013 end. Ever since I have been directing various activities in Balochistan and Karachi at the behest of RAW and deteriorating law and order situation in Karachi, I was basically the man for Mr Ani Kumar Gupta who is the joint secretary RAW and his contacts in Pakistan especially in Balochistan Student Organization. "My purpose was to hold meetings with Baloch insurgents and carry out activities with their collaboration. "These activities have been of criminal nature. This have been of anti-national, terrorists leading into the killing of or maiming the Pakistani citizens also. "I realize during this process that RAW is involved in some activities related to the Baloch liberation movement within Pakistan and the region around it. "There are finances which are fed into Baloch movement through various contacts or various ways and means into the Baloch liberation (movement) and various activities of the Baloch liberation and the RAW handlers go towards activities which are criminal, which are anti-national, which can lead to maiming or killing of people within Pakistan and mostly these activities were centered around of what I have knowledge is of ports of Gwadar, Pasni Jewani and various other installations, which are around the coast damaging various other installations, which are in Balochistan. "So the activity seems to be revolving trying to create a criminal sort of mindset within the Baloch liberation and leads to instability within Pakistan. In my pursuit towards achieving the set targets by my handlers in RAW, I was trying to cross over into Pakistan from the Saravan border in Iran on March 3, 2016 and was apprehended by the Pakistani authorities while on the Pakistani side and the main aim of this crossing over into Pakistan was to hold (a) meeting with the Baloch separatists in Balochistan for carrying out various activities, which they were supposed to undertake and carrying backwards the messages which had to deliver to the Indian agencies. "The main issues regarding this were that they were planning to conduct some operations within the next immediate (near) future so that was to be discussed mainly and that was the main aim of trying to coming into Pakistan. "So that moment I realized that my intelligence operations have been compromised on my being detained in Pakistan, I revealed that I am an Indian naval officer, and it is on mentioning that I am Indian naval officer, the total perception of the establishment of the Pakistani side changed and they treated me very honorably and they did utmost respect and due regards and have handled me subsequently on a more professional and proper courteous way and they have handled me in a way that befits that of an officer and once I realized that I have been compromised in my process of intelligence operations, I decided to just end the mess I have landed myself in and just wanted to subsequently move on and cooperate with the authorities in removing the complications which I have landed myself and my family members into, and whatever I am stating just now, it is the truth and it is not under any duress or pressure. I am doing it totally out of my own desire to mention and come clean out of this entire process which I have gone through last 14 years." Civilian and military leaders in Pakistan accused India on Tuesday of sponsoring and orchestrating terrorism and separatist movements, presenting what they said was clear evidence: a video confession. Pakistani officials say they arrested Kulbhushan Yadav, an officer in the Indian Navy, this month in Baluchistan, a mineral-rich province in southwestern Pakistan where an insurgency has simmered for years. Officials in Pakistan have accused India of fanning separatist sentiment there. The timing of the release of the video on Tuesday was notable. It came on the same day that a Pakistani team of investigators was visiting Pathankot in India, the site of a terrorist attack in January that India says was the work of gunmen from Pakistan. In the video, Mr. Yadav appears relaxed as he acknowledges carrying out a long list of operations in Baluchistan and in Karachi, the major southern port. Mr. Yadav is heard to say that he is a naval officer, with six years to go before retirement, and that he was enlisted in 2013 to join RAW, the Indian intelligence agency. Since then, he said, he has been involved in a variety of activities meant to destabilize Pakistan. India has denied that Mr. Yadav is an intelligence operative. It's one thing to release a confession video, and another to actually get diplomatic and political mileage out of this event. It remains to be seen, since as you mentioned, Pakistan's Foreign Office is very weak and incompetent. Facts pieced together by The Indian Express show no evidence Jadhav worked for Indian intelligence services, but raises intriguing questions about how he ended up in Iran in the first place. In November 2003, Jadhav obtained a passport (E6934766) from Pune, identifying him by the pseudonym Hussein Mubarak Patel. Born in 1968 (according to the passport), Jadhav joined the National Defence Academy in 1987, and was commissioned as a Naval engineer in 1990. According to colleagues, he rose to the rank of Commander after 14 years of service — one more than is the norm. 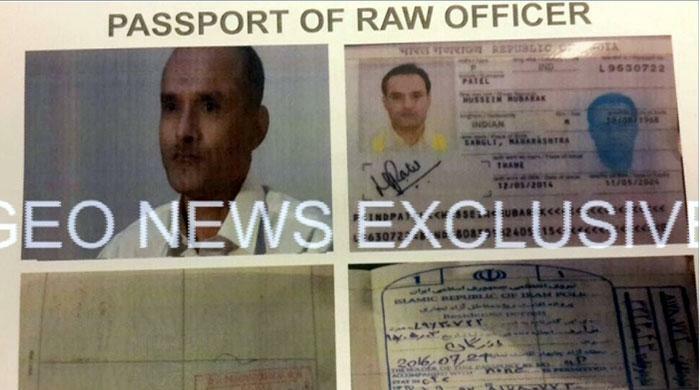 But within months of his passport being issued in Pune, Jadhav ended up in the Chabahar free trade zone, then a hub of Indian hopes to set up a transit route into Afghanistan and Iran. He told his family he was setting up a business to service trawlers and ferries operating out of the port, said friends. To two friends in the Navy, who declined to identified, Jadhav gave varying accounts of why he had left the service. To one, he dropped broad hints of being involved in government-linked activity. “He never showed up at the usual reunion kind of things. He’d pretty much disappeared,” said one friend. The address given to obtain his passport — the Martand Co-operative Housing Society in the Sai Vishwa area of Pune suburb Bavdhan — is incomplete. The records do not even state which apartment Jadhav may have occupied in the three-building complex. Vijay Deshmukh, secretary of the building society, said records show no apartment was owned by anyone with the surnames Jadhav or Patel. None of the residents recognised Jadhav from a photogrtaph shown to them. Electronic tags on the Pune passport office’s computer system show an earlier passport was held by Husein Mubarak Patel but there were no details of the address this document was issued for since it was done before computerised records were introduced. “It’s a common method to pick up a fake identity. The fact that there is an earlier passport with valid visas makes getting new ones that much easier,” said a Delhi Police officer. “But I can’t think why an intelligence officer should have gone through this subterfuge to obtain a pseudonymous passport. Let’s put it this way: there are systems in place to handle this kind of thing,” said a former RAW officer. Little is known of Jadhav’s life in Iran — there are no records and his family has declined to publicly discuss details of his business or life. Government sources say he owned a small cargo-shipping business and dealt in scrap metal. The embassy in Tehran also had no contact with him, said sources. “There’s a lot of people-trafficking through Chabahar with traffickers routing migrants from India and Pakistan seeking to go west,” said an Indian businessman based there. Like many border zones, Chabahar is also a listening post for intelligence services, including R&AW, where information is sold on everything from shipping and construction activity to trafficking. 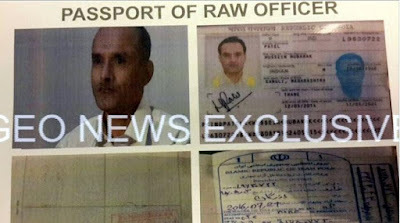 In 2014, Jadhav obtained the passport he was eventually arrested with in Pakistan, L9630722, issued in Thane. This time, he identified himself as a resident of the Jasdanwala Complex on the old Mumbai-Pune road cutting through Navi Mumbai. The flat, municipal records show, was owned by his mother Avanti Jadhav. Iran’s President Hassan Rouhani said on Sunday that the development of the country’s southeastern port of Chabahar will help connect India with Central Asia and will mark a new chapter in relations between Tehran and New Delhi. Rouhani, in a meeting with the visiting Indian Foreign Minister Sushma Swaraj, emphasized that the expansion of relations with India in various areas will benefit the whole region. He said Iran and India have significant commonalities that they can exploit to develop their capabilities in various areas. Rouhani further said that the economies of Iran and India complement each other, adding that Iran can satisfy India’s energy needs and thus help the Indian expanding economy. The Indian foreign minister for her part said New Delhi wants to promote relations with Iran in all areas. Swaraj said the strong bonds between Iran and India can help the enhancement of their political and economic relations. She emphasized that New Delhi is determined to cement a mutually-beneficial relationship with Tehran. For that to happen, the Indian minister said, relations between the two countries should be defined beyond merely trade ties. Elsewhere in her remarks, Swaraj said that there is a wide variety of areas in which India can invest in Iran, adding that the development of Chabahar port is only one of them. She said the project – once fully developed – can benefit not only Iran and India but also the whole region. Chabahar is located in the Gulf of Oman on the border with Pakistan. It is the closest and best access point of Iran to the Indian Ocean and Iran has devised serious plans to turn it into a transit hub for immediate access to markets in the northern part of the Indian Ocean and Central Asia. In May 2014, India and Iran signed a Memorandum of Understanding (MoU) to jointly develop the port once the international sanctions against Iran were lifted. Both sides agreed as per the MoU to allow India lease two docks at the port for a period of 10 years, a move that was meant to cut India's crude oil and urea transportation costs by around 30 percent. India is also relying on the prospects of establishing rail links from Chabahar to Afghanistan and thereon to Central Asia.